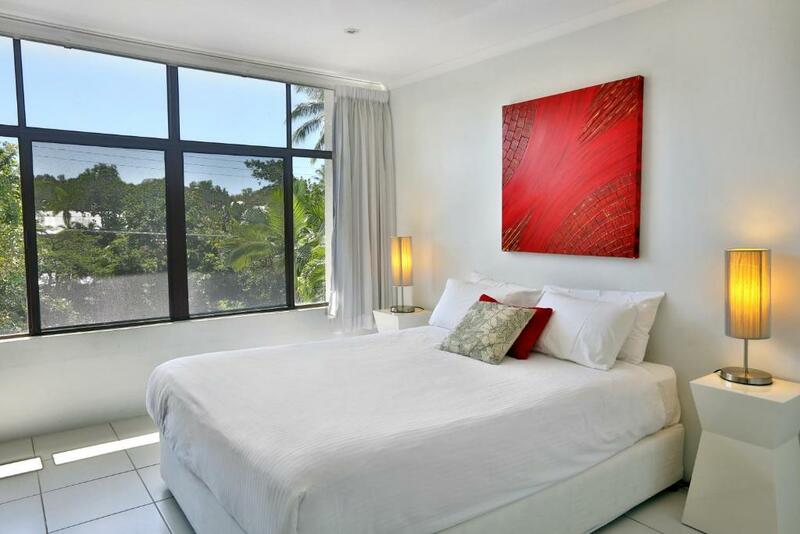 Just 500 feet from the pristine Palm Cove Beach, the 2-bedroom Tranquility – Apartment is ideally located to make the most of the coast. Guests enjoy access to an outdoor pool, complete with relaxing sun loungers. 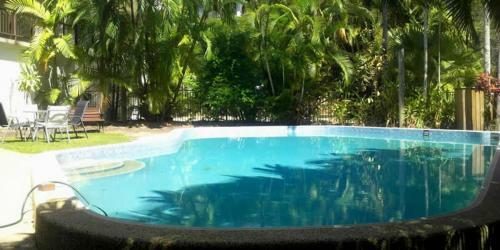 Tranquility is a 3-minute drive from Palm Cove Country Club golf course and a 4-minute drive from Cairns Tropical Zoo. 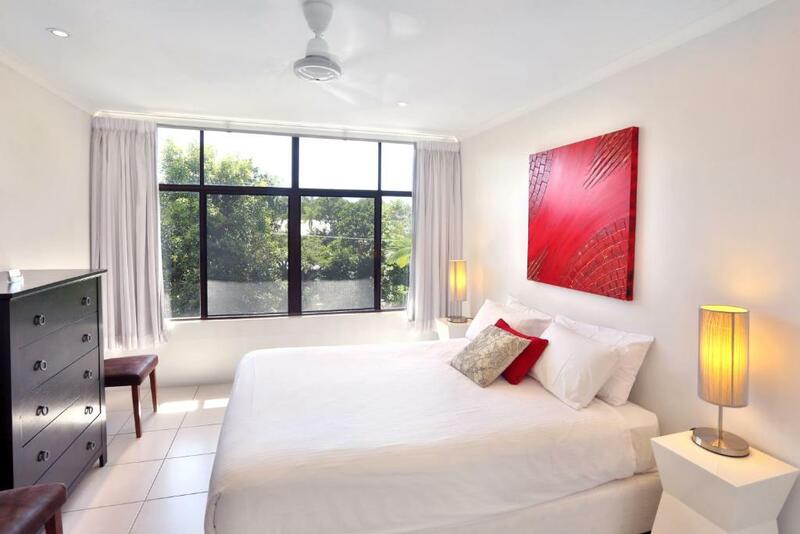 Cairns International Airport is a 22-minute drive away. The air-conditioned apartment features a balcony with outdoor furniture and lovely garden views. 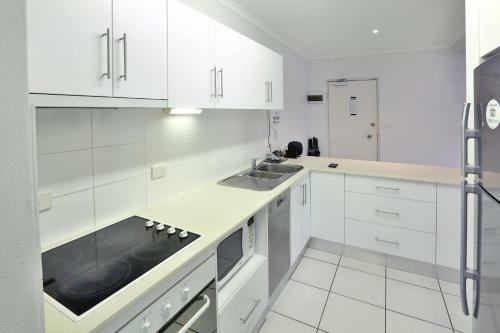 It offers a fully equipped kitchen and a lounge area with TV and DVD player. 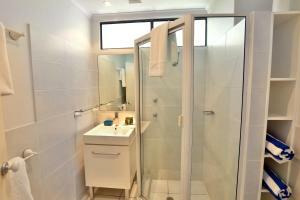 There are also laundry facilities and 1 bathroom. When would you like to stay at Tranquility - Apartment? 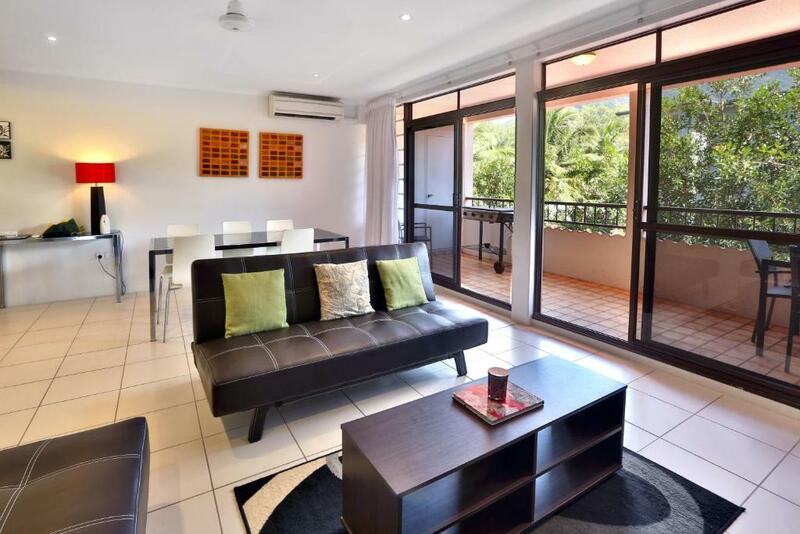 This air-conditioned apartment features a balcony with outdoor furniture and garden views. 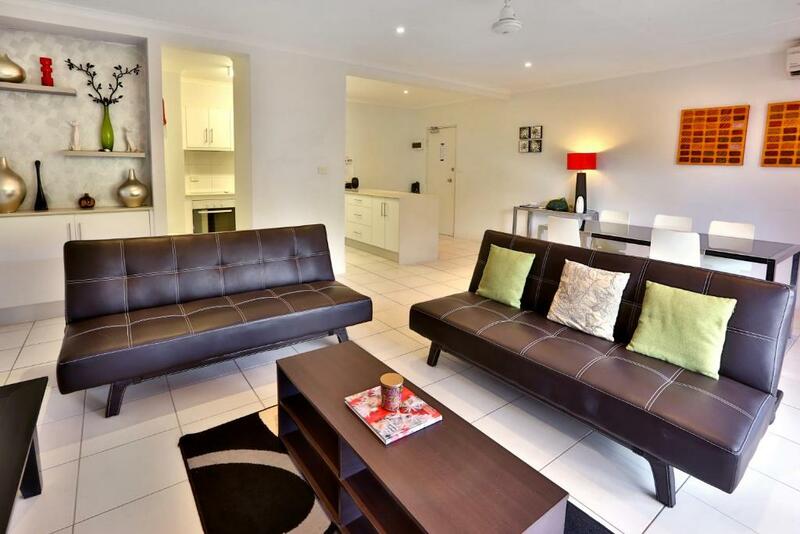 It offers a fully equipped kitchen and a lounge area with TV and DVD player. 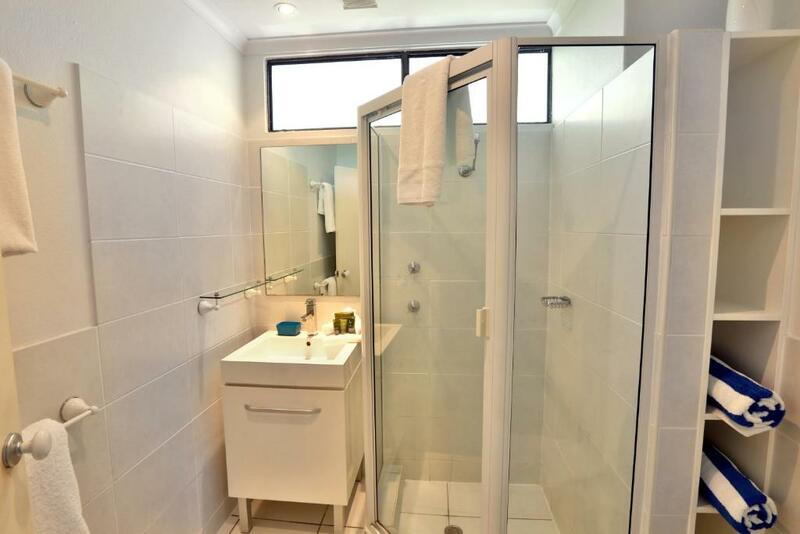 There are also laundry facilities and 1 bathroom. House Rules Tranquility - Apartment takes special requests – add in the next step! Tranquility - Apartment accepts these cards and reserves the right to temporarily hold an amount prior to arrival. Please inform Tranquility - Apartment of your expected arrival time in advance. You can use the Special Requests box when booking, or contact the property directly using the contact details in your confirmation. 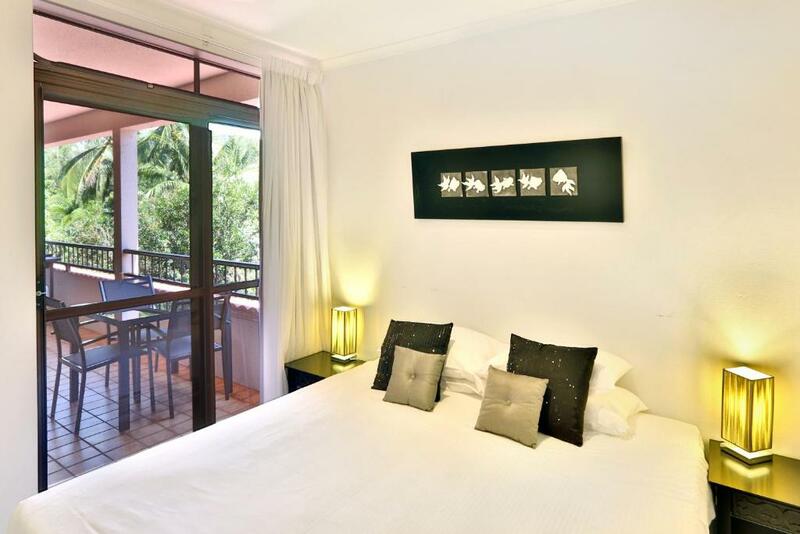 Please note that check-in and key collection take place at: The Boutique Collection - 137 Williams esplanade, palm cove 4879. The Apartment smelled very bad, the lounge suite covers were filthy we complained and they removed the covers to be cleaned and they covered the couch and chairs with sheets and never returned the covers, so the lounge suite was covered with sheets our entire stay. The carpet was sticky and filthy and I believe this is where the very bad odor was coming from, they needed replacing. It was really not acceptable especially with a 4 year old child playing in such and environment and spoiled our stay. The Front door bolt lock did not work either this was also reported. We will not be using the service again. The kitchen had many shortcomings and needed repairs for various items (stove knob broken, oven labels worn off and unreadable, cupboard door off hinges). There were also many basic items that were not available or adequate to cook a basic meal for a family of four. The bathroom is unrenovated, albeit clean. If you can cope with old, a little rough on the edges, and hosts who just don't reply to requests for repairs, then this would be fine. We wont stay here again, although it was ok for the price for our short stay of one week. The apartment is spacious and has a large balcony. The beds were comfortable, and our children were able to get to sleep comfortably without our noise in the living room disturbing them (i.e. TV). The pool facilities were lovely - plenty of surrounding chairs, and we had the place to ourselves almost all the time (I expect many of the residents in the building live there permanently, therefore don't use the pool area regularly). The lift is also excellent - something often not found in buildings in this area.